Dual SIM phones are not exactly rare nowadays but Motorola goes even further down this road by releasing the first triple SIM card phone. Called Motokey EX117 the device works fine with up to three different SIM cards and is now available in Canada and Brazil. 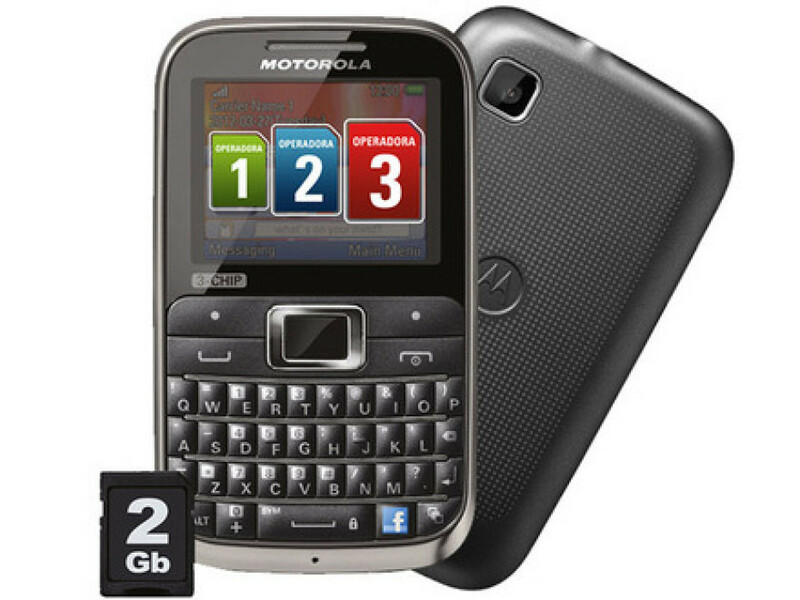 In addition to supporting three SIM cards, the EX117 has a full QWERTY keyboard, and a dedicated Facebook button – like the previous Motokey model, announced in November 2011. Other features: 2-inch landscape display with 220 x 176 pixels, FM radio, Bluetooth, 3.5 mm headset jack, 2 MP camera, and a 2 GB MicroSD card pre-installed. 3G connectivity is not featured. Also, in case you were wondering, this isn’t an Android handset. As mentioned the Motokey EX117 is now available in Canada and Brazil with upcoming releases to other markets as well. In Canada the phone sells for 85 dollars while in Brazil it costs around 300 BRL.